Hi, I owned SV650, Ducati monster 750 and two years ago I bought Yamaha FJ09 with triple cross plane engine. I expected that bike to be fun like V twins, but few weeks ago I sold it. In my garage one V strom was sleeping for last 5 years and finally I met the owner and he decided to sell it to me. 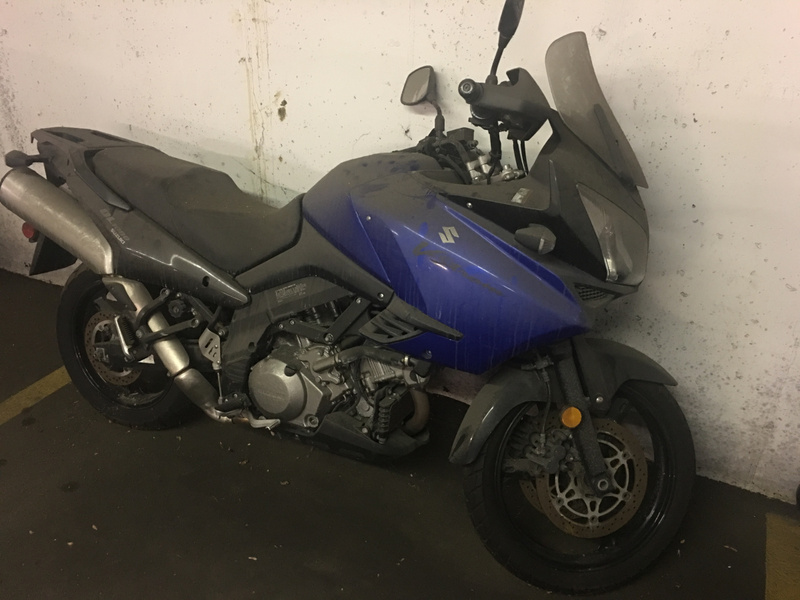 2007, only 2000 miles, basically new bike and the price was really good It's all stock, starts with no problems after just putting the new gas, runs amazing. 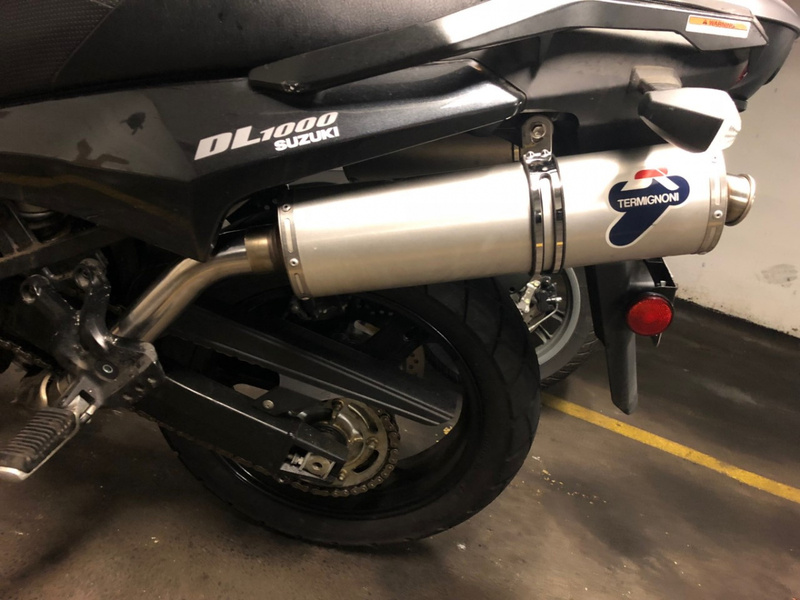 I have at home Termignoni exhaust which sounds amazing on Ducati and I decided to install it on Vstrom. I was lucky that Delkevic sold me just the mid pipes so it was pretty easy job. Unfortunately it was way too loud for me on cruising speed so I put back the old pipes. Maybe I should try with power commander or I will just sell Termignoni. I don't think that anyone has Termignoni on V strom. Welcome to the Forum. Congrats on your K7 Vee. I don't have knowledge about the Termignoni exhaust, save what I read on google. 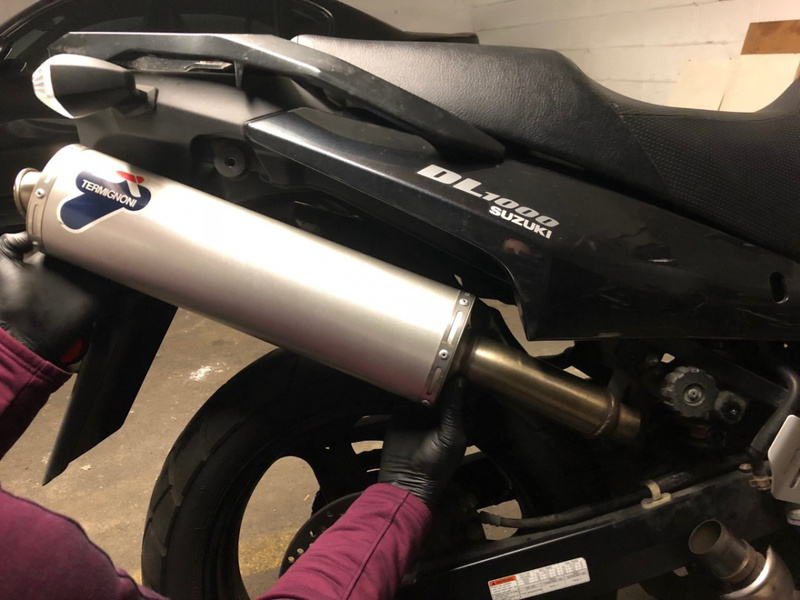 Any method of repacking the baffles to quieten the exhaust tone a bit? Welcome to the forum, sine.